"Я вижу железную дорогу, но где станция?" Translation:I see the railway but where is the station? "I see railroad" sounds incorrect to me. Rather "I see a railroad" would be more proper. Is вокзал old fashioned now? It was nice for us Brits! Вокзал is a major station with a building that provides passenger service—or even the actual building. We do not have the word in the course because it has no exact equivalent in Enlgish. "Terminal" or "terminus", maybe. The Russian word, however, is more about the building. I wonder if people actually use it, because вокзал is certainly a common word if the station you are talking about happens to be a вокзал. 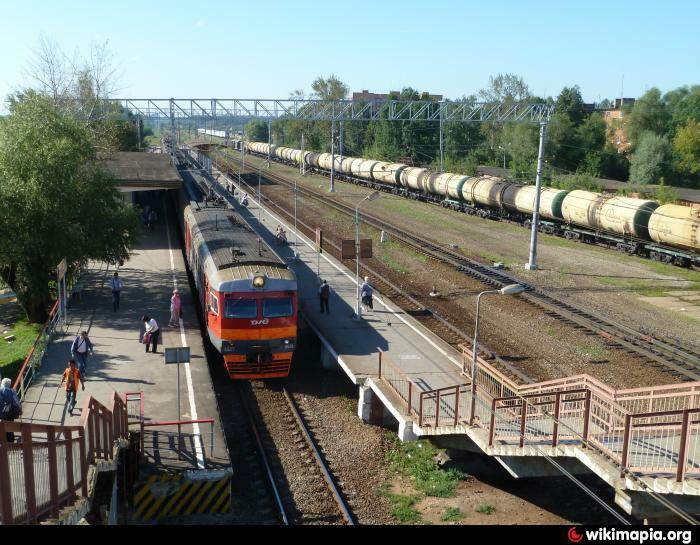 The first photo looks like a stop for commuter trains, is остановка ever used to describe them? We can use остановка to describe the act of stopping ("Поезд следует со всеми остановками, кроме станций Солнечная, 78 километр, Щелковская") but we do not call stations themselves остановка. "I see the railway but where the station is?" Marked wrong, why? "Я знаю, что дерево упало на дорогу." "Я его нигде не вижу."